Volvo Group is going to launch its UD range of buses in India, which will be positioned between its premium products under rear-engine range and conventional offerings for the mass market. The price range of these buses will be between Rs. 25 lakh and Rs. 80 lakh. This UD range of buses under Volvo brand will be including both city buses and coaches. While a 12-metre low-floor city bus is expected to debut in India by the end of 2014, the coach version of the same-sized bus will be launched in 2015. After acquiring Nissan Diesel, a Japanese CV maker, Volvo bagged the UD brand while concentrating majorly on the trucks and putting a halt on its UD branded buses' production in 2010. Hence, the launch of this range in India will represent the renewal of its bus operation under the brand. Not everyone can afford a branded bike of his choice! Although, the market is flooded with various options in terms of brands but owning one of them requires quite a huge pocket. With the introduction of bidding as a platform for the trade of pre-owned vehicles, now, acquiring a bike of your choice is not a big deal. These days, bidding has become quite a prominent medium to buy pre-owned bikes. Since, bikes enjoy a fan following majorly from the youth of society, online bidding will serve a great purpose in this case as the youth spends long hours online. Before you participate in the bidding of pre-owned bikes, it is mandatory to consider certain points prior to making a final decision. Let’s take a look at them one by one. Once you evaluate the reason for purchasing a pre-owned bike, it actually helps in deciding the right brand and model. The main reason of why people prefer a used bike is the need for a good brand at low price. If that is your reason as well, then do check out a wide range of second hand bikes online. When you actually participate in the bidding of pre-owned bikes, you generally come across a plethora of options. While exploring them, it is mandatory to do a comparison between them. It will help you in purchasing the most appropriate used bike. To purchase a pre-owned bike online, you can visit www.samil.in and participate in Shriram Autmall India Limited’s (SAMIL) bidding events. With transparency at every level of operation, the Company serves various platforms to carry out the trade of pre-owned vehicles and equipment. Online bike bidding is categorised amongst the most convenient and innovative way for acquiring and disposing bikes. It not only helps the sellers in realising an apt amount for their bike but also serves the buyers a price which is just a fraction of a bike’s market price. 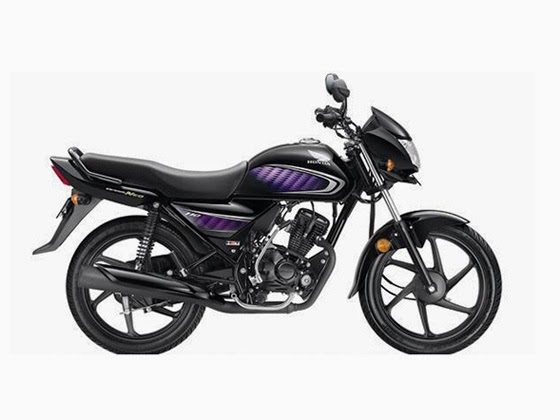 There are various companies in India that carry out online bike bidding on a regular basis with a huge variety of bikes for people. Initially, online bidding for was open for only dealers but now the scenario has changed. At present, online bike bidding is not restricted to the people who have a dealer license. All the bike lovers can now purchase their favourite bike while sitting at home through online bike bidding. With so many options with respect to model, year of manufacture, colours and brands, any person can now participate in online bike bidding and win his/her choice in just a few clicks. Let’s take a look at the benefits of online bike bidding in detail. When you decide to purchase a bike through online bike bidding, you generally end up with an exposure to a wide range of bikes in both new and used categories. This helps in making the most appropriate choice. For online bike bidding, you need not to visit anywhere. All you have to do is simply bid on your choice while sitting at home also. Since trade is carried out through bidding, a person always end up in the best realisation for his/her bike in online bidding. With various options available in the market for used commercial vehicles, it is common to get confused while purchasing them. But no matter whether the used commercial vehicle is required for business or personal purpose, getting a good quality used commercial vehicle is not a big deal. Let’s take a look at some tips that make your decision-making process much easier. · Check the condition of a used commercial vehicle’s oil. People generally check the oil levels but more than that it is its condition that more portrays the vehicle’s health in true sense. · Look for rust on the body of a used commercial vehicle. Don’t even think of neglecting it as it may badly hamper your investment. · Do take a look at the service records as they help in calculating the exact worth of a used commercial vehicle. Also, ensure that those records are legitimate enough. · Go for a test drive as it will introduce you more to the condition of the vehicle. Don’t forget to check for suspension. · No matter whether you have technical knowledge or not, it is mandatory to check every major part of the used commercial vehicle. You can also take advice from an expert while making a decision. · Decide your budget well in advance and accordingly make note of the companies that offer used commercial vehicles within the amount set. Now that you have some expert advice on how to purchase a used commercial vehicle, you can easily hunt for the various options available in the market. Shriram Automall India Limited (SAMIL) pioneers in providing well-structured bidding platforms for the trade of used vehicles and equipment. If you are looking for complete transparency in your deal, then do go for SAMIL. “In our wide range of used vehicles and equipment, we offer pre-owned commercial vehicles, construction equipment, tractors, cars & SUVs, 3 wheelers and 2 wheelers. A journey that began three years ago is steadily moving ahead in an upward direction.” – Mr. Sameer Malhotra, CEO of SAMIL.